Our sauna heater prices start at $459. Our heaters feature fast warm-up times and long life on the heating elements. These sauna heaters are ideal for dry saunas, wet saunas, home saunas, Finnish saunas and hot rock saunas. Sauna heaters are made in sizes - 2 kw, 4 kw, 5 kw, 6 kw, 7.5 kw, 9 kw, 12 kw, 15 kw, 18 Kw. The Saunacore brand also has 2 kw, 3 kw small heater sizes. Review all 74 electric sauna heater models - the best sauna heater selection online with prices. Included with Heater & Control! Heat up Your Sauna Faster! Includes FREE Sauna Building Book, "The Art of Sauna Building"
Bonus Offer - FREE Sauna Building Book! It's INCLUDED with a heater and control order. 4 Kw, 5 Kw Homecraft heaters are compact for smaller sauna rooms. 6 Kw, 7.5 Kw and 9 Kw have rock baskets that are 40% larger - more rock creates a gentler heat. Heating is more efficient as the heat can flow out of the heater faster. Homecraft heaters can be used for a dry sauna or a wet sauna. The elements are low-density longer-lasting elements that can withstand the shock of water thrown on the elements. Homecraft sauna heaters have been proven reliable since 1978. Lifetime Limited Warranty from Homecraft - Made-in-North-America. They feature a rock tray 40% larger than most heaters which provides better air flow using larger rocks. 1. The DEC Digital Electronic Control is the most popular. 2. The OMC Outside Mechanical Control has mechanical timer and thermostat. 3. The BIC Built-in Controls are available on Saunacore heaters only. ** FREE Shipping in USA! Every home has 220/240 volt electricity. Correct name is 240 volt. 110 volt Heaters - See 2 kw 110 Volt Sauna Heaters "SE"
Sauna height 78" to 84": use 1 Kw per 45 cu ft.
** Sauna warm-up time of 20-25 minutes is based on a maximum sauna room height of 7', the heater correctly sized to the room and the thermostat setting. Most saunas warm-up in 20 minutes. Limited Lifetime Warranty in residential use. Why Buy a "HC" Homecraft Sauna Heater at Home Saunas Since 1974? BEST TECH SUPPORT: As a sauna manufacturer and factory-outlet since 1974, our sauna experts are trained by our Finnish Sauna-Guru, to give you lots of support & advice as needed. We've been there - done that since 1974 - and happy to share our sauna heater knowledge & sauna building experiences with you! We're here to make this easy for you! 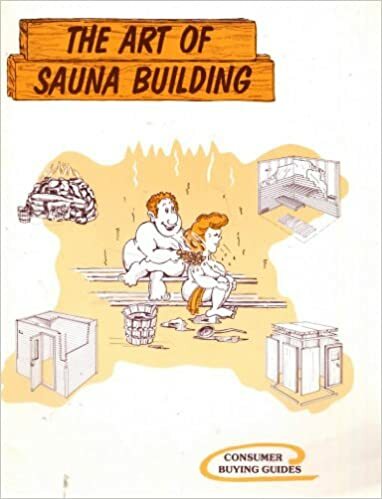 BEST INFO SUPPORT: Every customer receives a copy of our best-seller sauna building book, "The Art of Sauna Building" with our compliments. The book will help you build a great sauna. It has helped over 65,000 sauna builders already. (Read some of the reviews the book has received). BEST WARRANTY: Your purchase of a "HC" Sauna Heater includes extended heater warranty. Most sauna heaters on the market today offer only a 2 or 3 year warranty. Every Homecraft electric sauna heater is built for water to be thrown onto the hot rocks to increase the humidity so the air is not too dry. There is no harm done to the elements in home use. Or you can run the equipment as a dry sauna heater with no water. Read more: The Importance of Humidity for Health and Sauna Enjoyment. Homecraft electric sauna heaters are CSA-Approved and UL-Listed in the U.S. to meet the latest electric sauna heater standards and safety code requirements for sale in Canada and U.S.A.
** CAUTION: Avoid off-shore sauna heaters that lack North American standards and certification from UL and CSA!